Painted Ladies Journal: Our One Year Blog-iversary!! 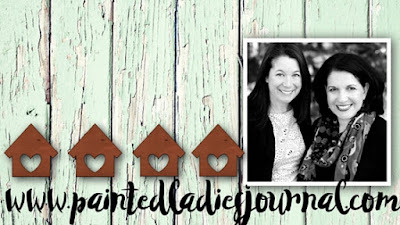 Luly and I (Holly) started this blog one year ago! I'm so proud of us for keeping it up! We are so thankful for all the love and support. We are just so thrilled! To celebrate our one year "blog-iversary" we decided to update our look. We have a new profile picture and cover photos. What do you think?? We are also hosting some giveaways over the next few weeks! So make sure you are following us on your favorite social media spots. We're just figuring out Google+ and getting back into Twitter. Follow us and we'll be sure to follow you back. We love making new connections with fellow crafters and bloggers. Okay, here's the first Giveaway!! I have a a set of 50 unique 3x4's from the Project Life Prismatic Core Kit. Sign up for our email list (to the right hand side of blog) and then comment on this blog post that you did so for a chance to win this one! Ends Sunday, Feb 28, 2016 7:00PM CST. Congratulations on your one year anniversary! I'm excited to learn new techniques and gain inspiration from your site! I am a new subscriber and am excited to have other places to see how you all use the PL cards <3 ! Thanks for the chance to win these cards! I was so excited to find your blog! Thanks for the opportunity to win! I'm looking forward to exploring your posts! Thanks for the chance to win. Congratulations on blogging for a year. I am a beginner blogger at memorieswithin.weebly.com. Hope that you will check out my blog and leave your comments. Thanks for the chance to win! I love the inspiration! Thanks for the chance to win! I subscribed. Ruby Moody! You are my winner per my random number generator! 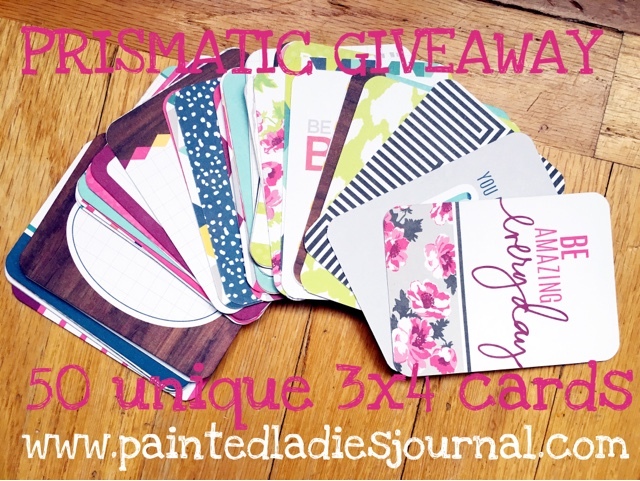 Email us at paintedladiesjournal@gmail.com with your address!